NordicBet makes all your wishes come true this season with its awesome Christmas Sports Giveaways that can see you win tons of nifty gadgets. You wish you could get a brand new laptop or a cool new iPad Air or even an Oculus Rift so you can enjoy all the thrills of the virtual world? Well, we’ve got good news for you! That’s a real possibility this December, thanks to the Christmas Sports Giveaways at the iconic Scandinavian online sportsbook NordicBet. The best part about this special Xmas offer is that every day there’s a different prize up for grabs, so you can win anything from smartphones and high-tech cameras to designer bags and holiday giveaways. Christmas Sports Giveaways Offer is valid until December 31; make sure to use your time wisely, because you only have less than 10 days left until the end of the year. 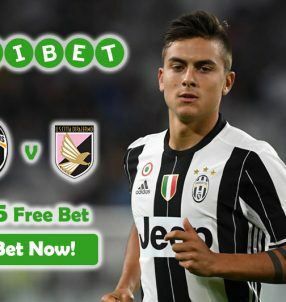 Bet with NordicBet on a daily basis and participate in the weekly raffles to unwrap special gifts; each will have separate requirements from the previous day. Follow the instructions of that day to receive presents from the Christmas Sports Giveaways. The great thing is that some of the offers will also feature bonuses that can be used at the online casino section of NordicBet, which makes Christmas all the more enjoyable with additional bonus deals. Note: the Christmas Sports Giveaways Offer is only open to Scandinavian players: Norway, Finland and Sweden. Check out the brief list of gifts that you can win with the Christmas Sports Giveaways: different sets of Apple Watches, various Apple iPhones, Dell laptops, Apple Macbooks, expensive designer bags (Prada, Ralph Lauren and Ted Baker), Samsung Galaxy phones, Optoma projector, Sony Bravia, XIRO Drone, holiday giveways (ski resorts and other locations), Gyrocopter Flight in Sky and tickets to a European football match. Get in on the action while it’s still hot and get your favourite presents under the tree this year with Christmas Sports Giveaways! 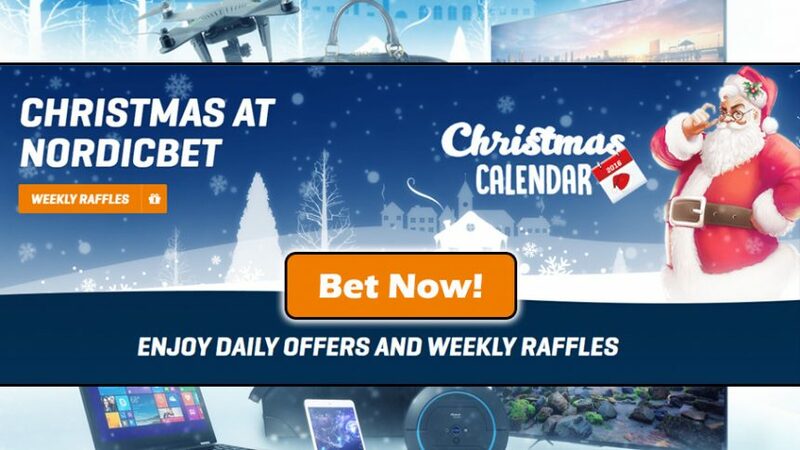 Win cool prizes with NordicBet’s Christmas Sports Giveaways!